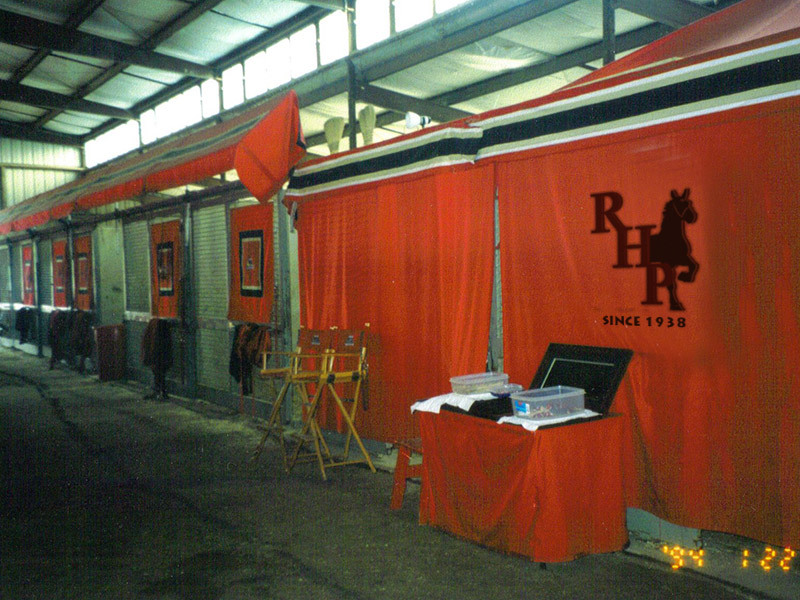 Then... Grow your BRAND, with an entirely new face. 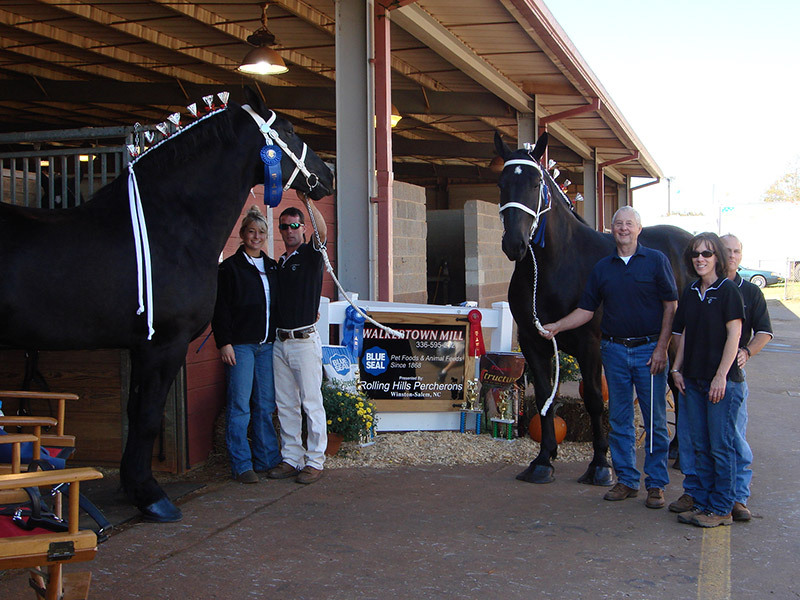 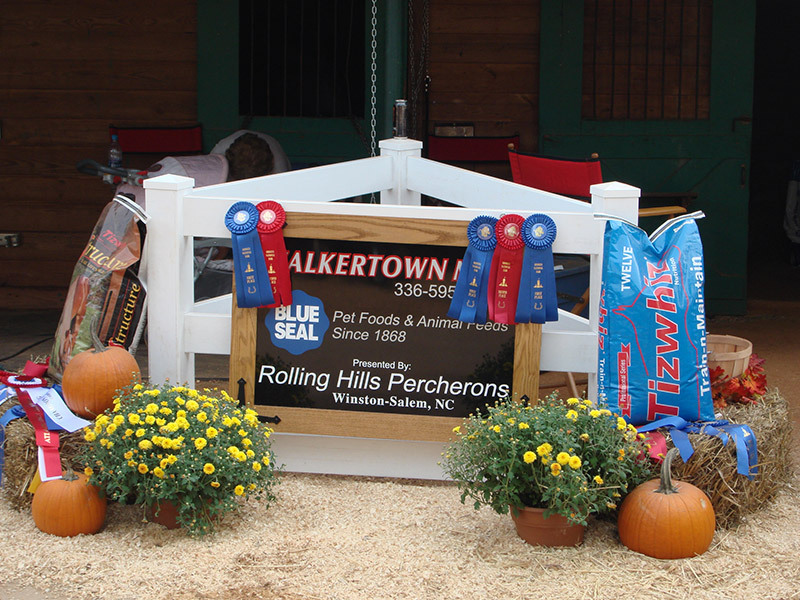 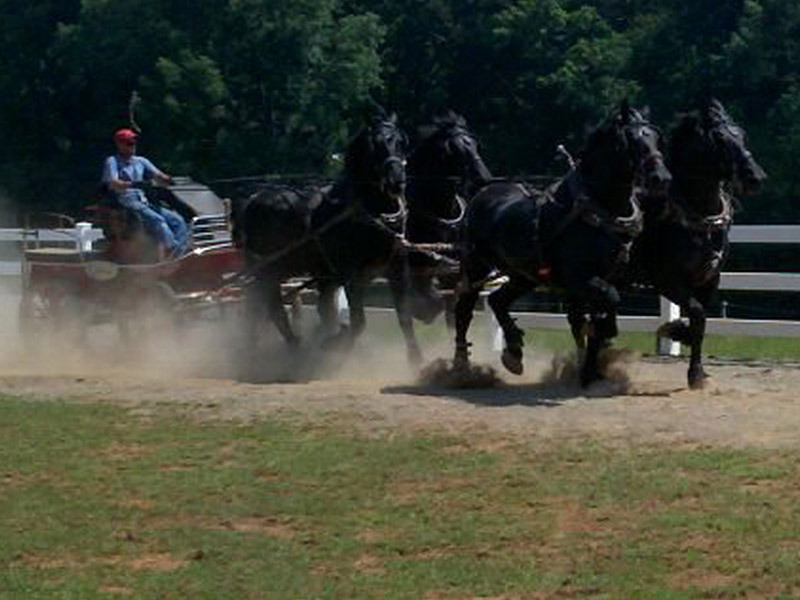 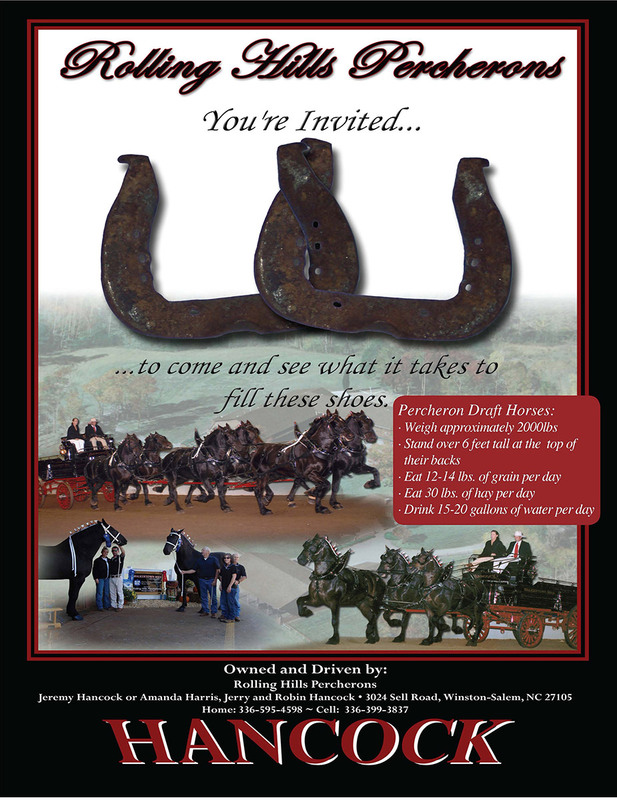 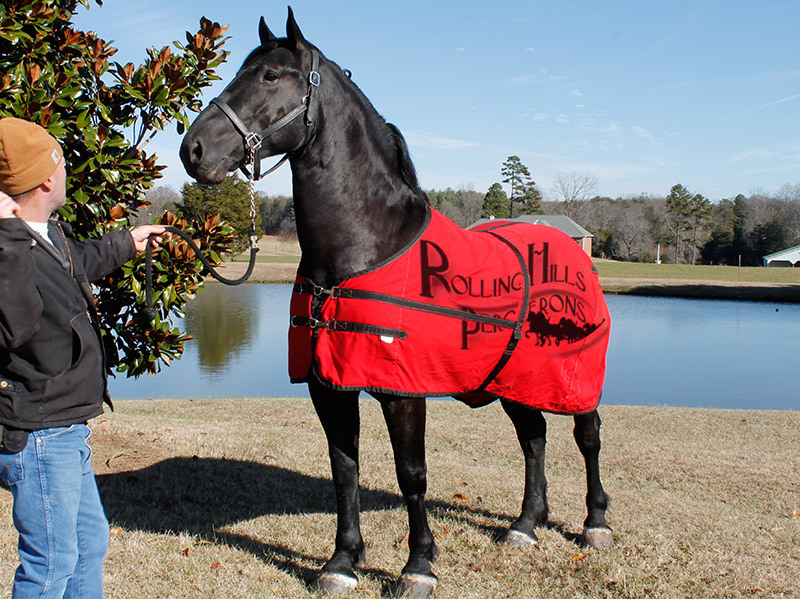 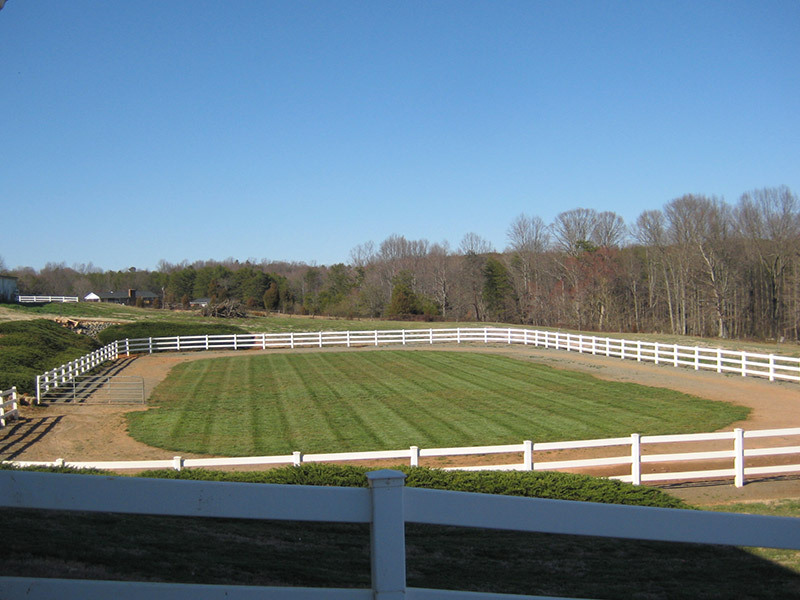 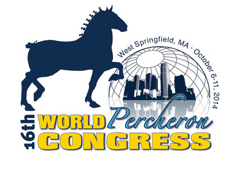 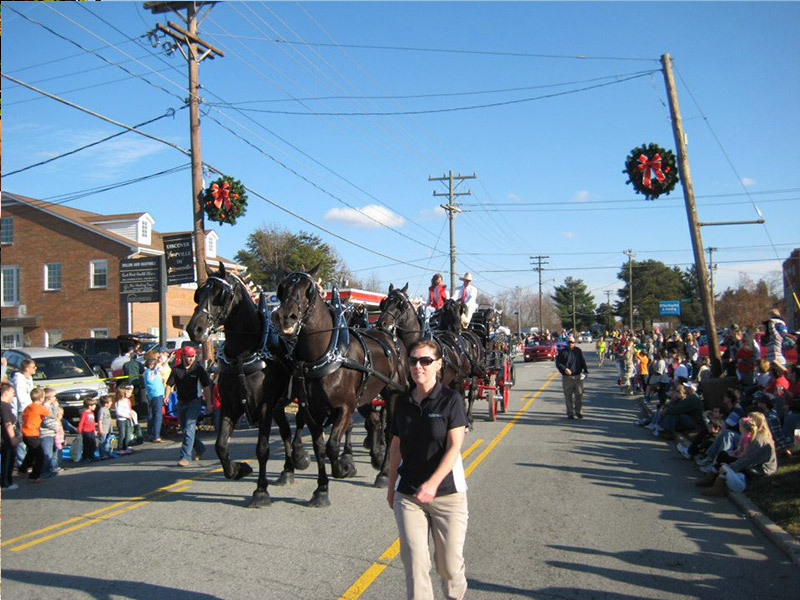 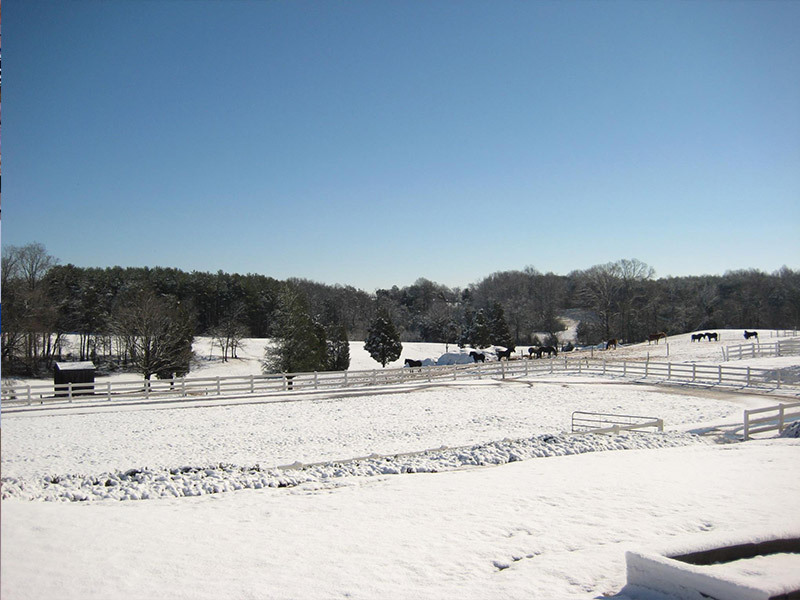 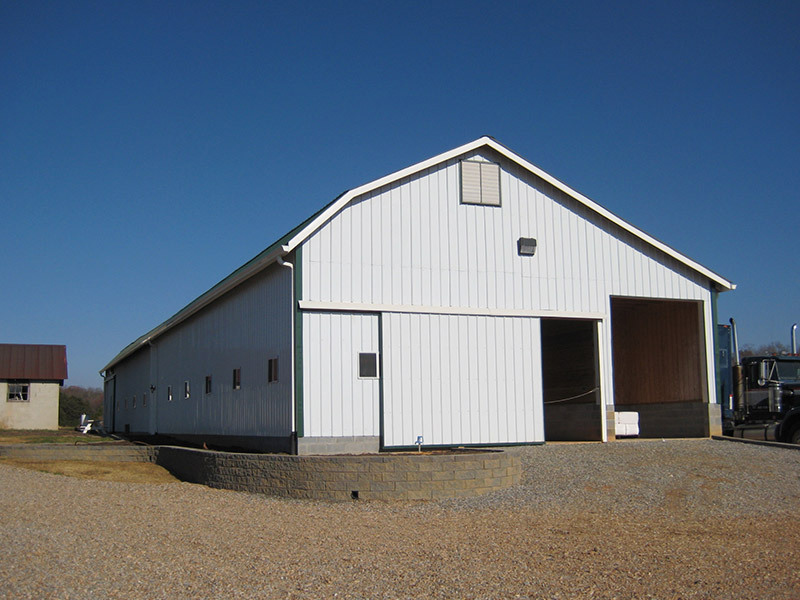 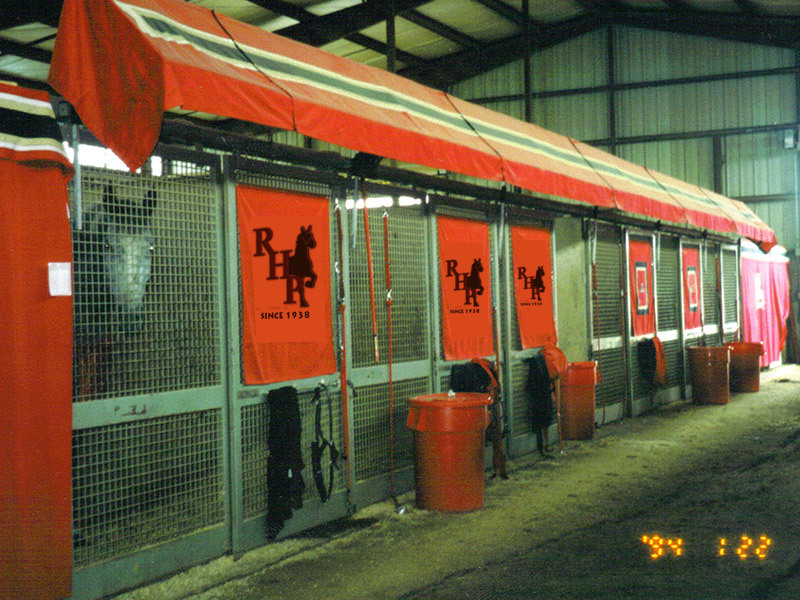 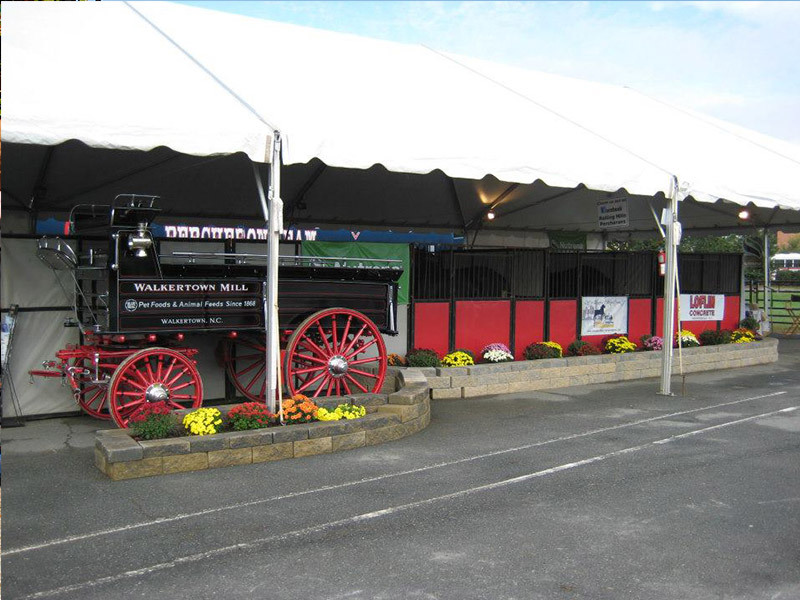 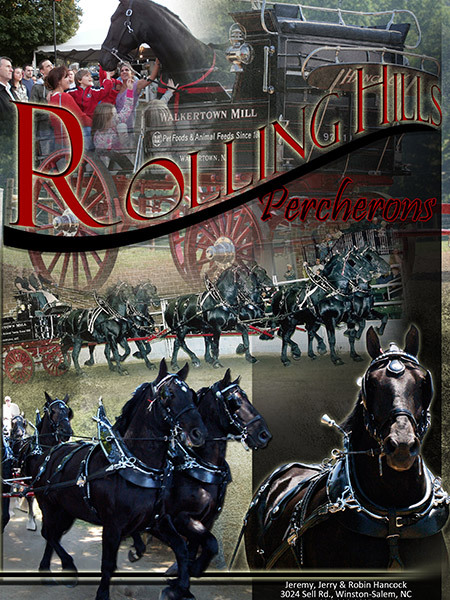 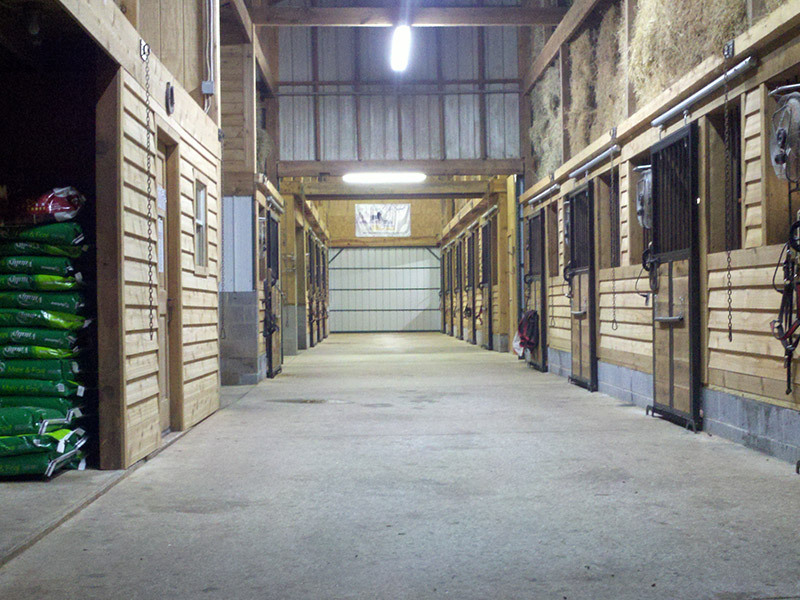 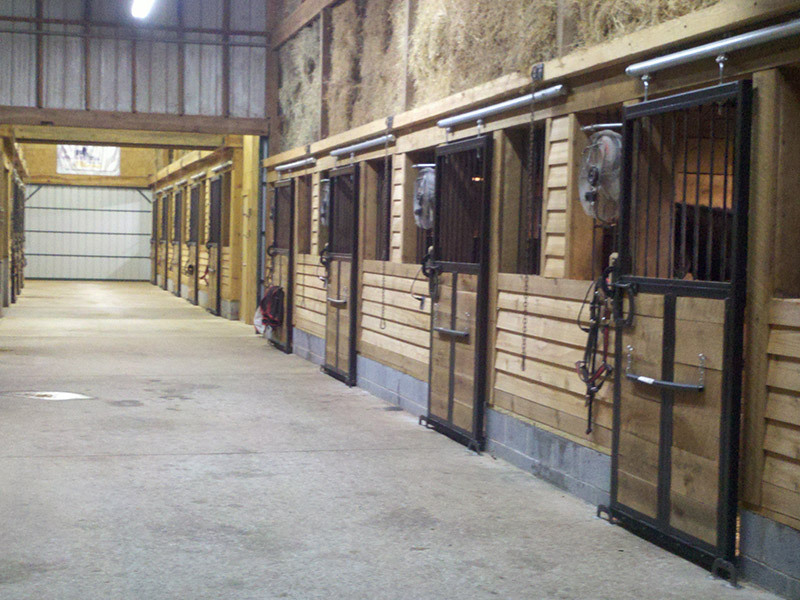 The Rolling Hills Percherons are ready to become a member of your marketing team! 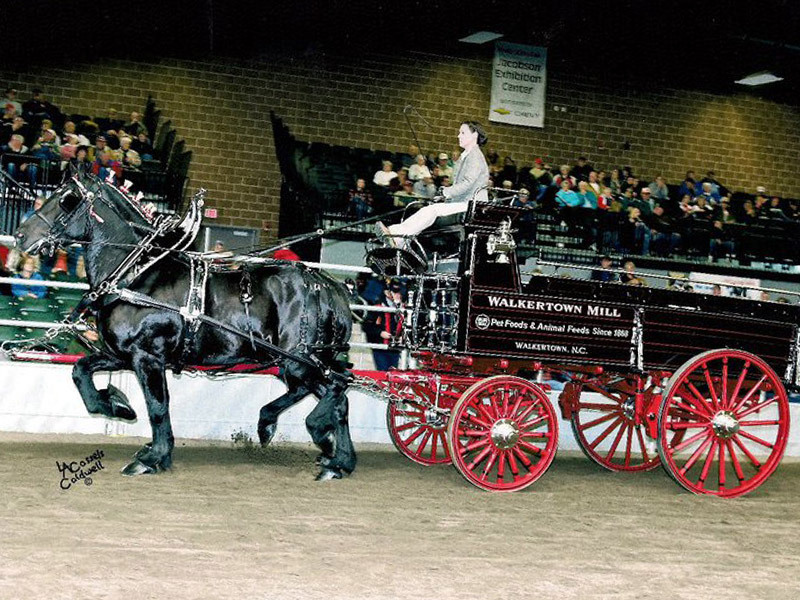 From skipping class as a boy to watch the Percheron horses help the Ringling Brothers Circus set up to using them to plow his own farmland as an adult, Mr. Bill Sell began this family tradition. 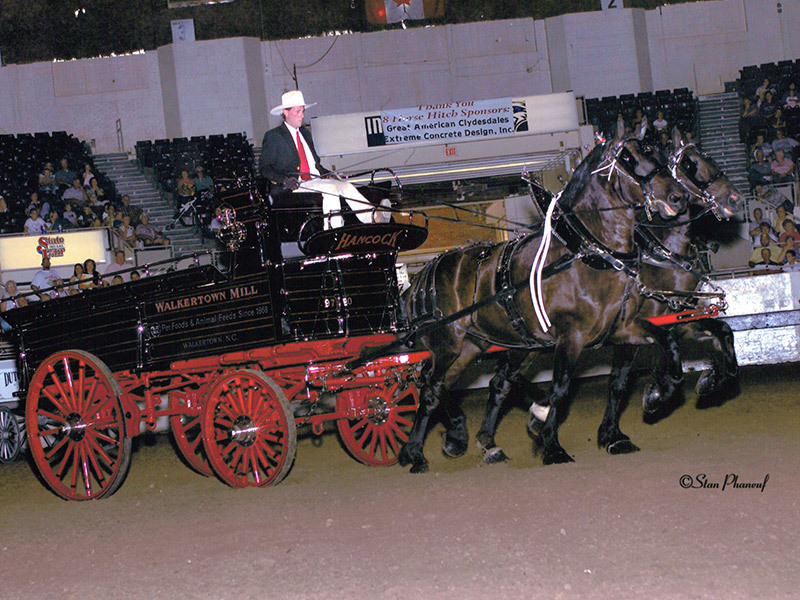 Mr. Bill Sell was honored in 1994 by being inducted into the Percheron Horse Association of America Hall of Fame. 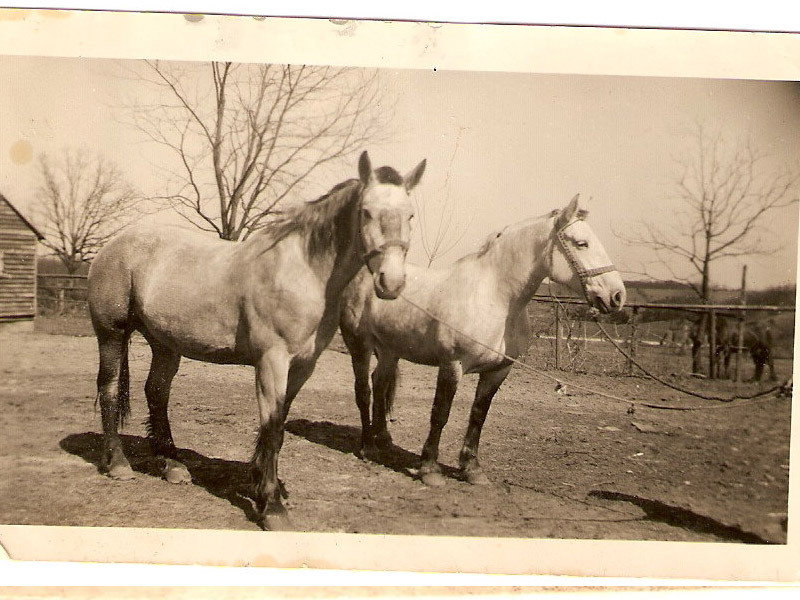 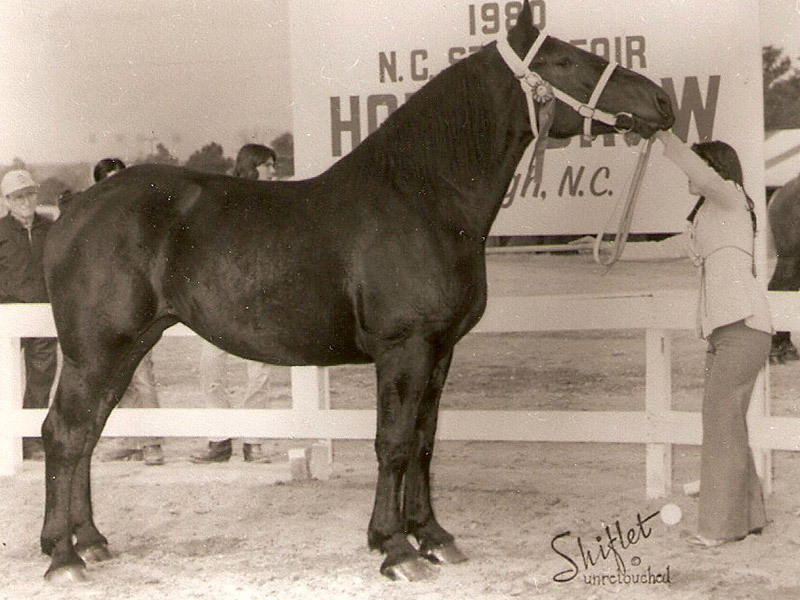 After his death, the family continued showing, breeding, training and selling the French draft horse. 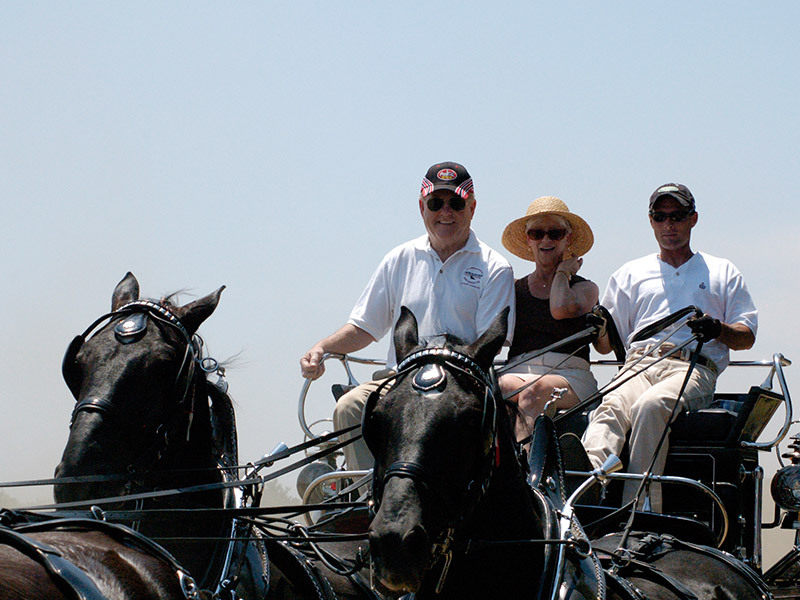 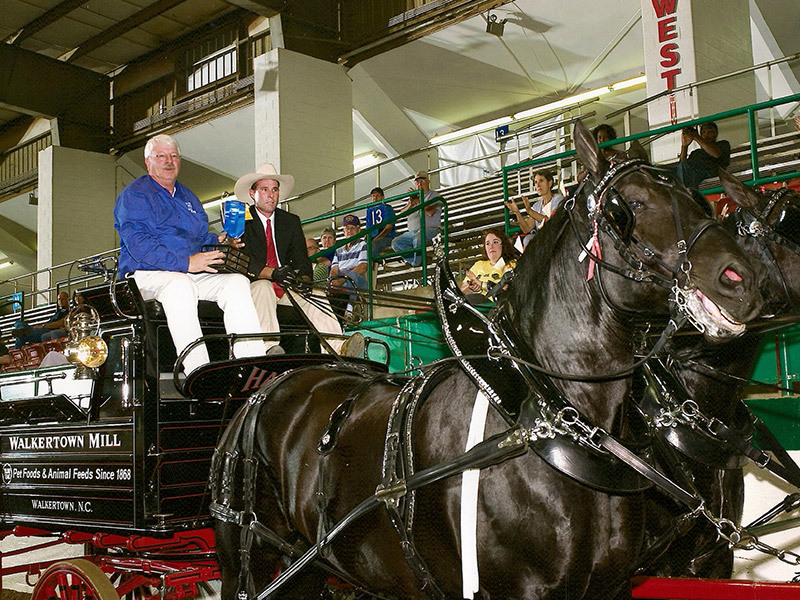 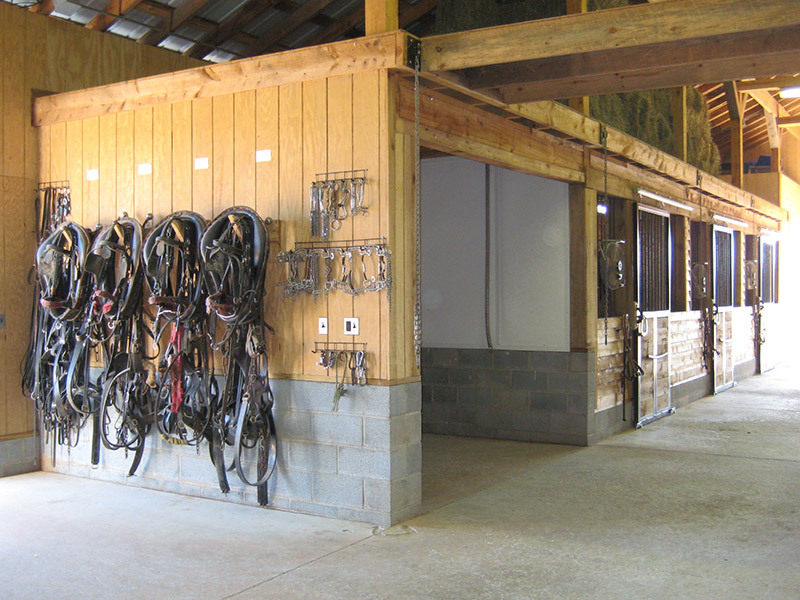 Jerry Hancock is the current president of the National Percheron Horse Association. 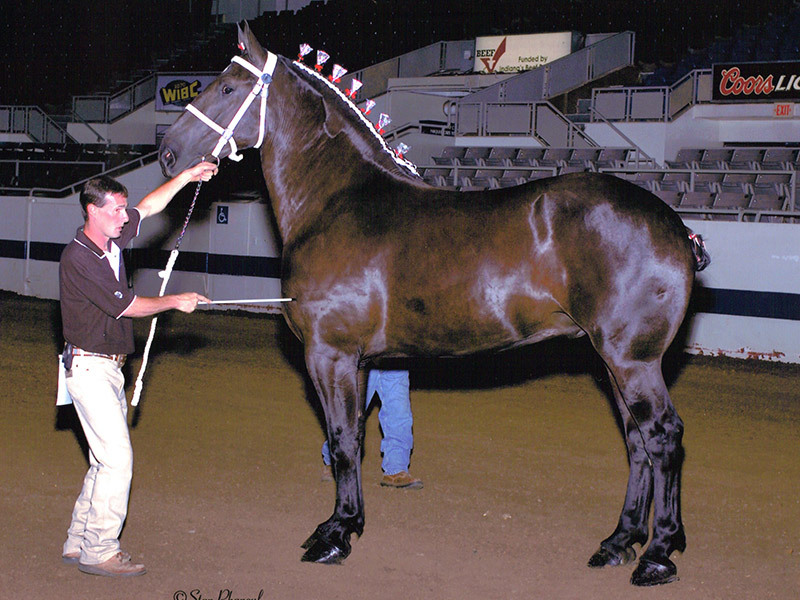 Today you will find Jerry’s son, Jeremy Hancock, carrying this legacy. 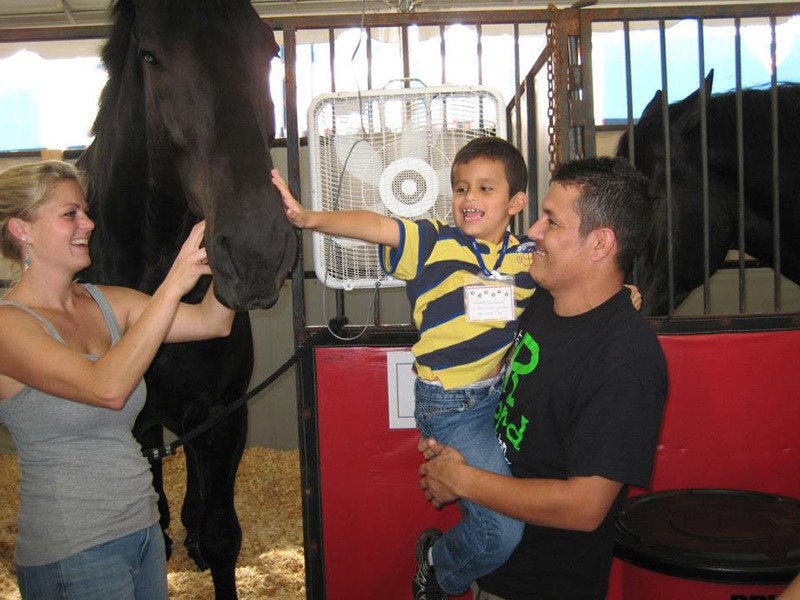 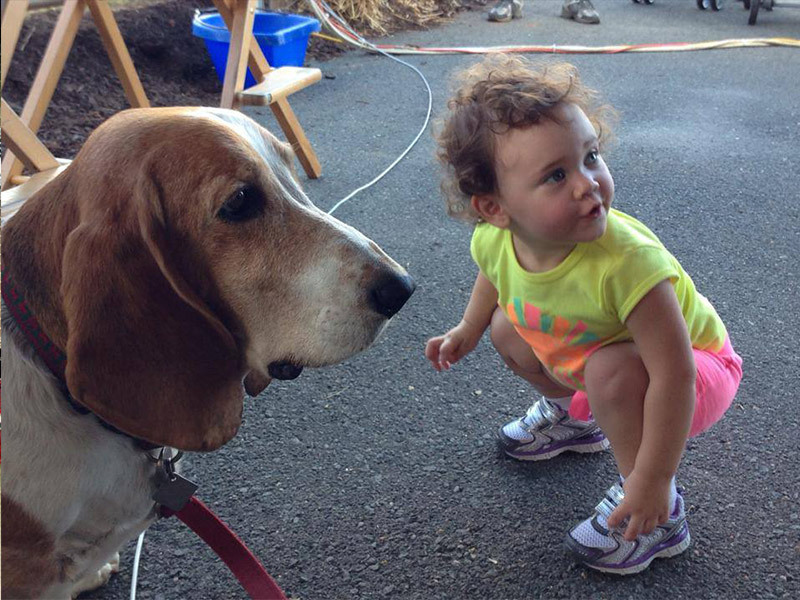 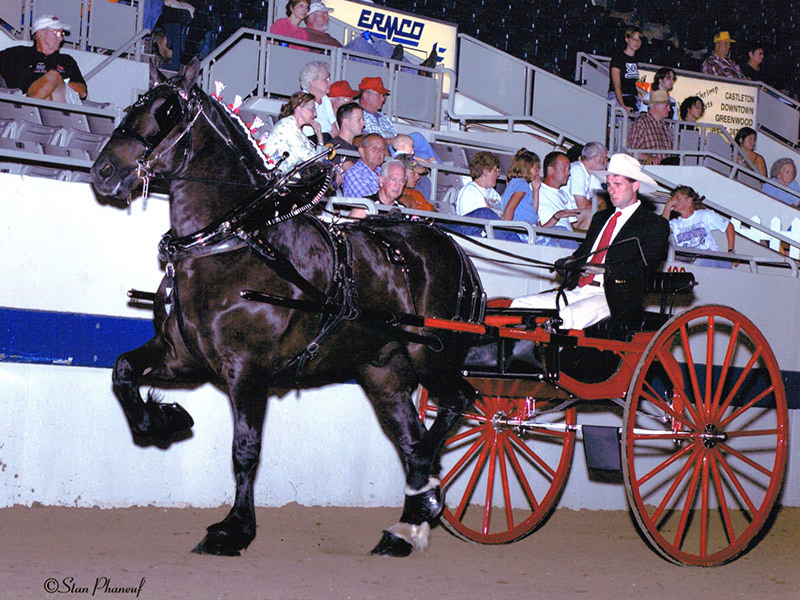 From the age of 5, Jeremy has been competing (and winning) many showmanship classes and competitions. 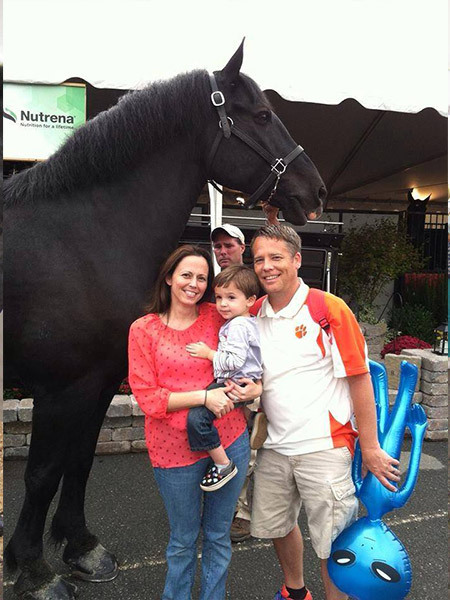 He traded in playing with stuffed horses as a child to play with these larger-than-life horses. 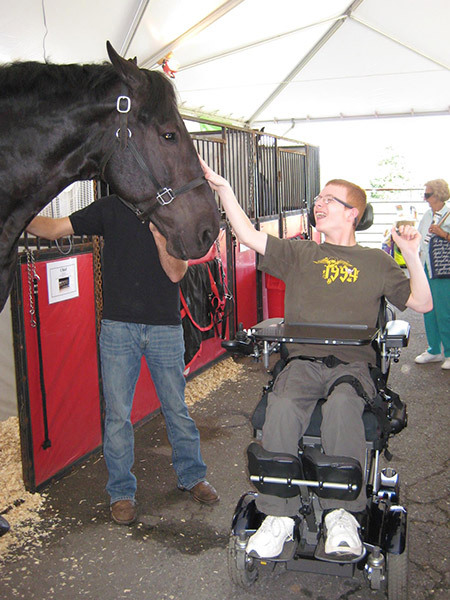 His passion has never waivered and how could it? 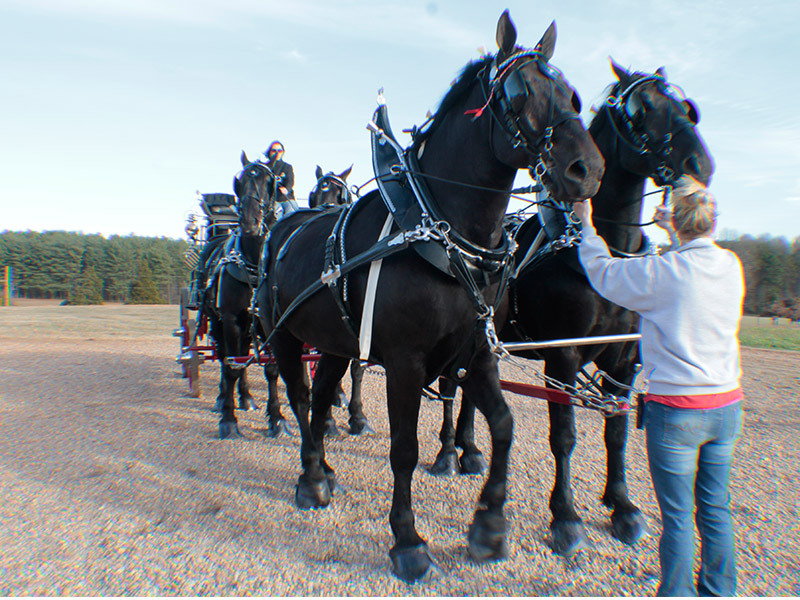 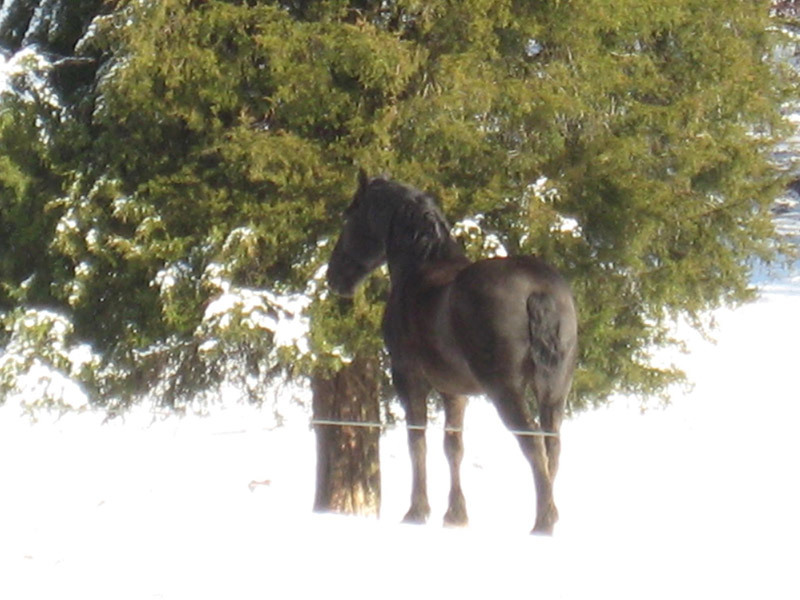 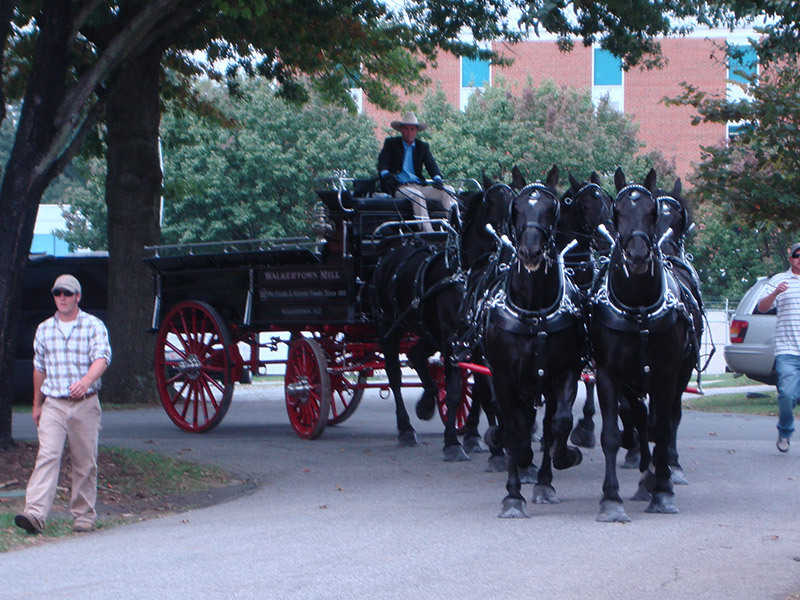 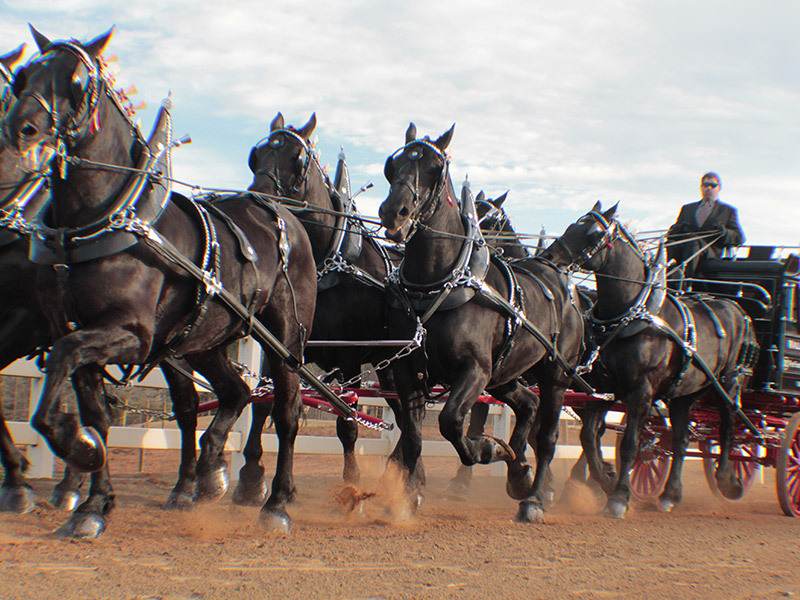 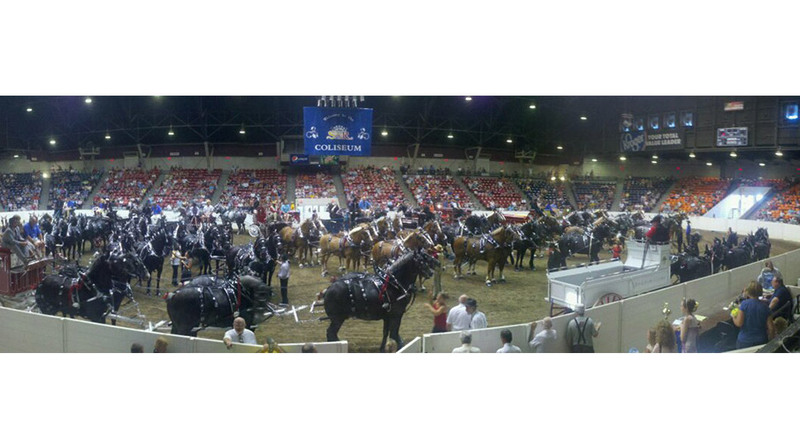 Experiencing these majestic Percherons, a truly remarkable memory that will remain with you forever. 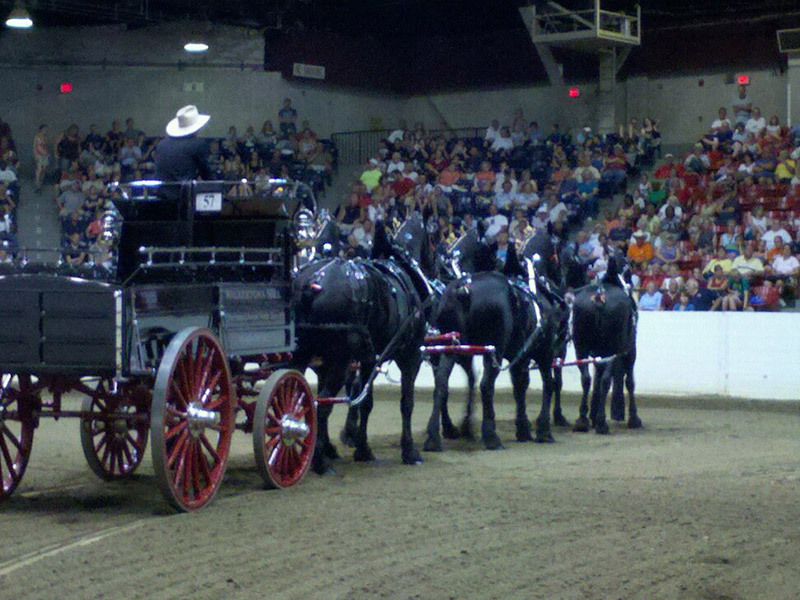 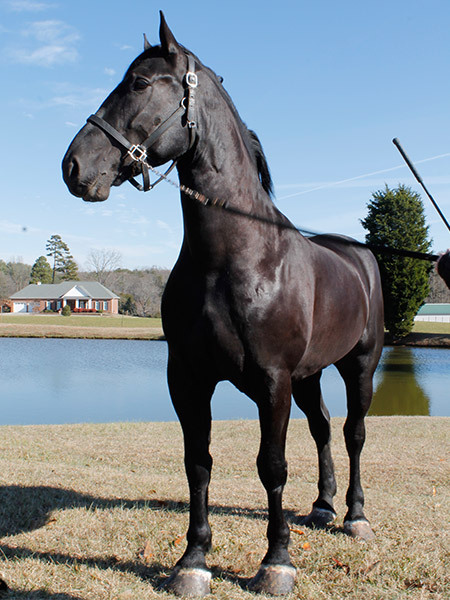 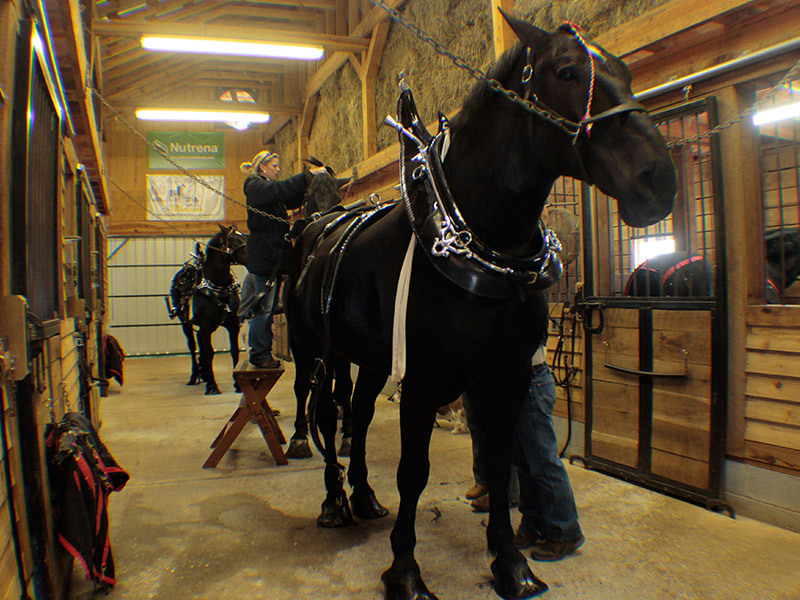 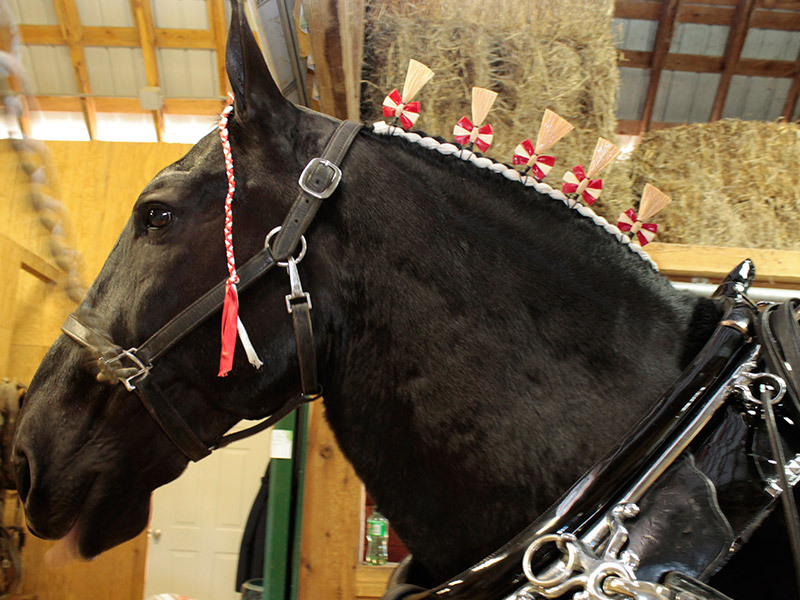 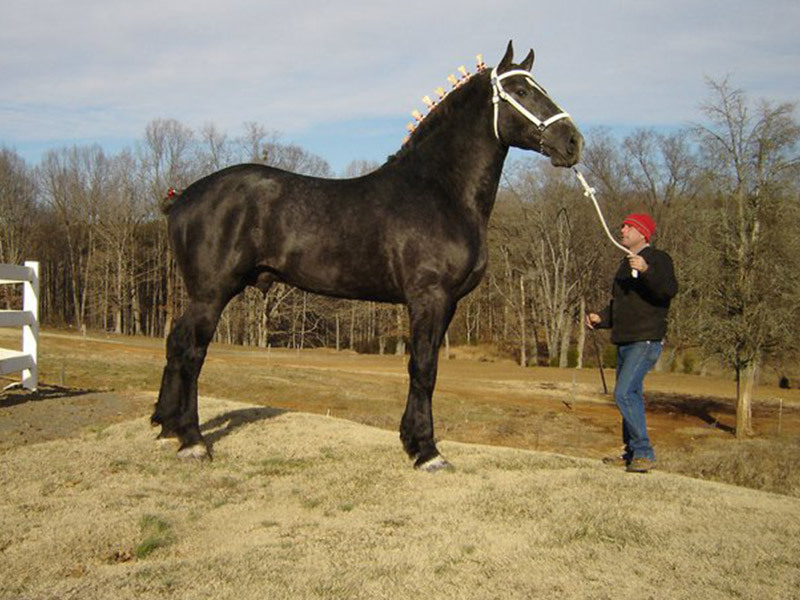 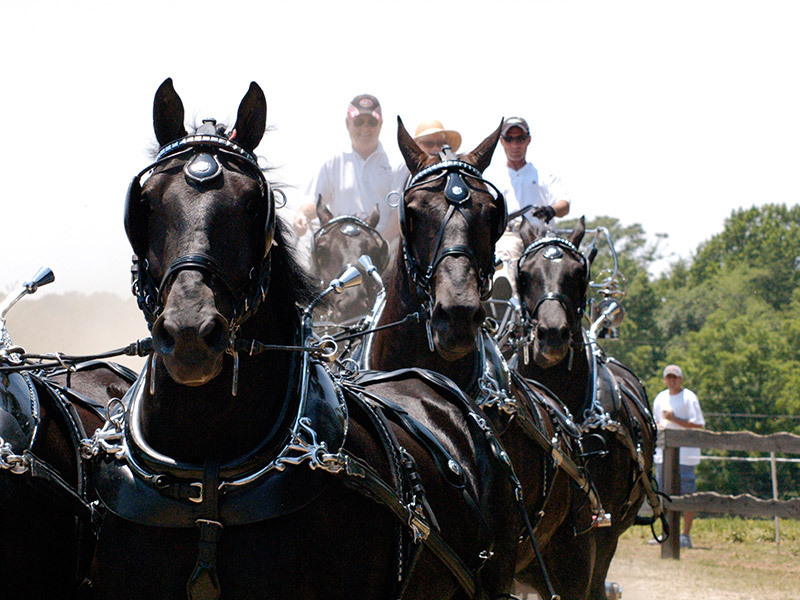 Percherons are 1 of 5 breeds of draft horses. 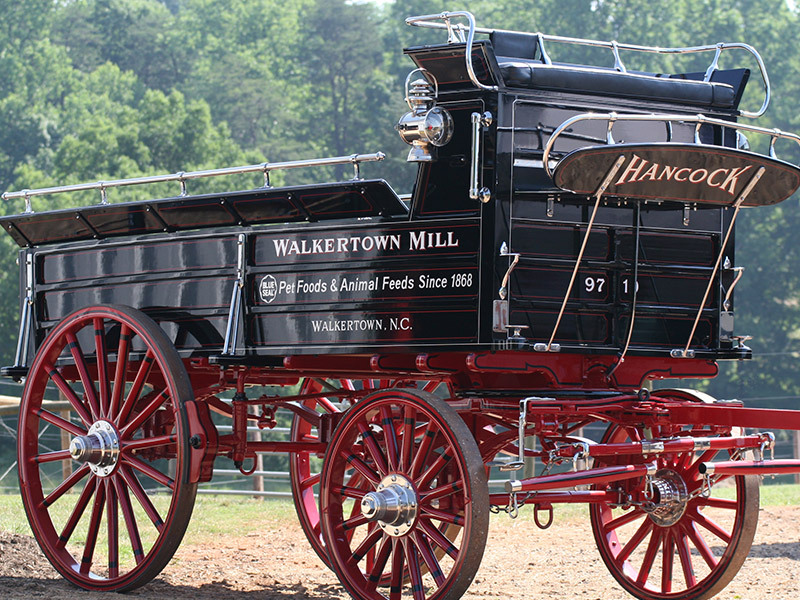 They were first imported to the United States from France in 1839. 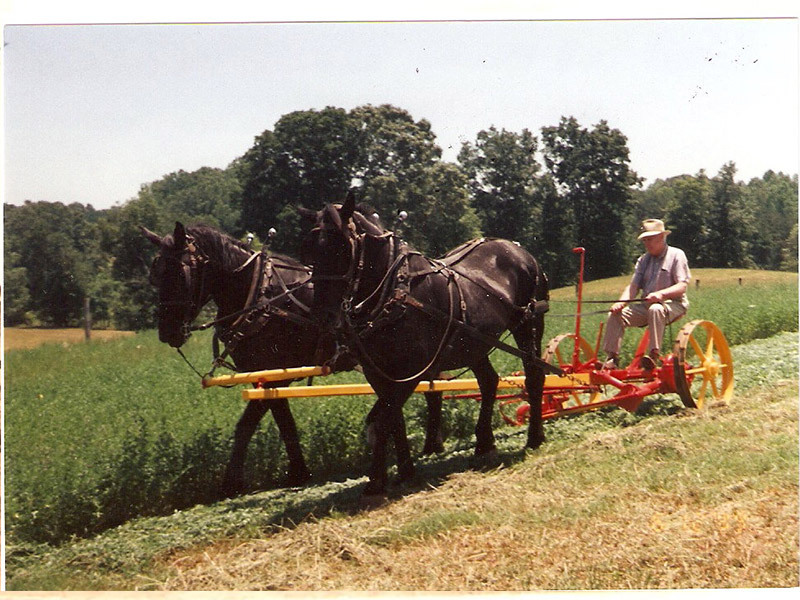 Pre-WWII they were used by farmers, loggers and teamsters moving freight long before the tractor trailer. 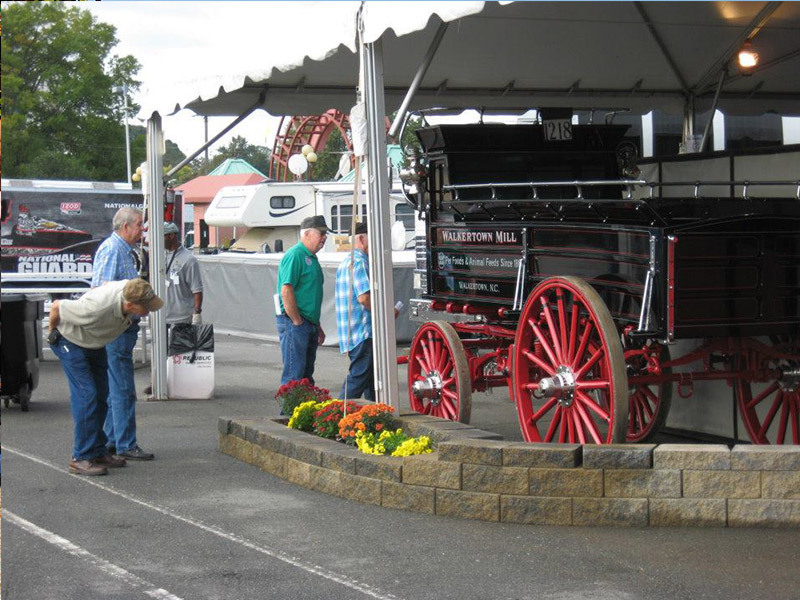 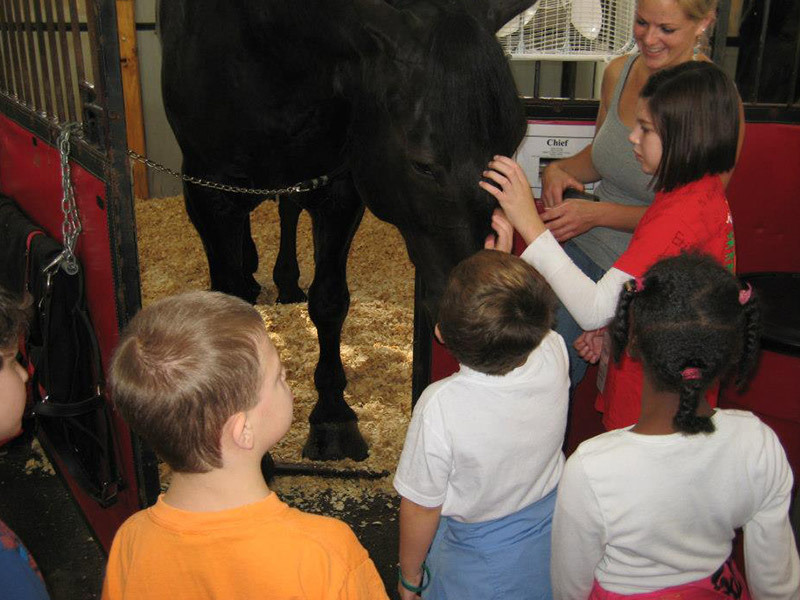 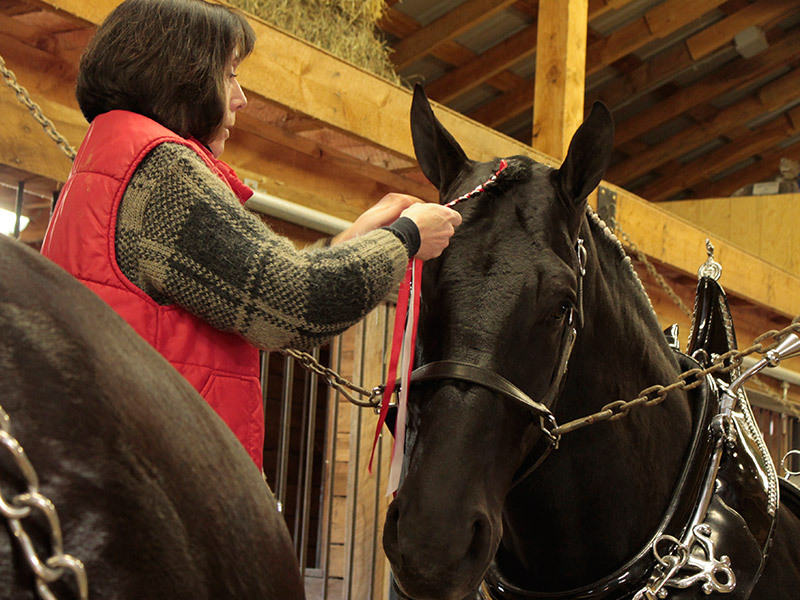 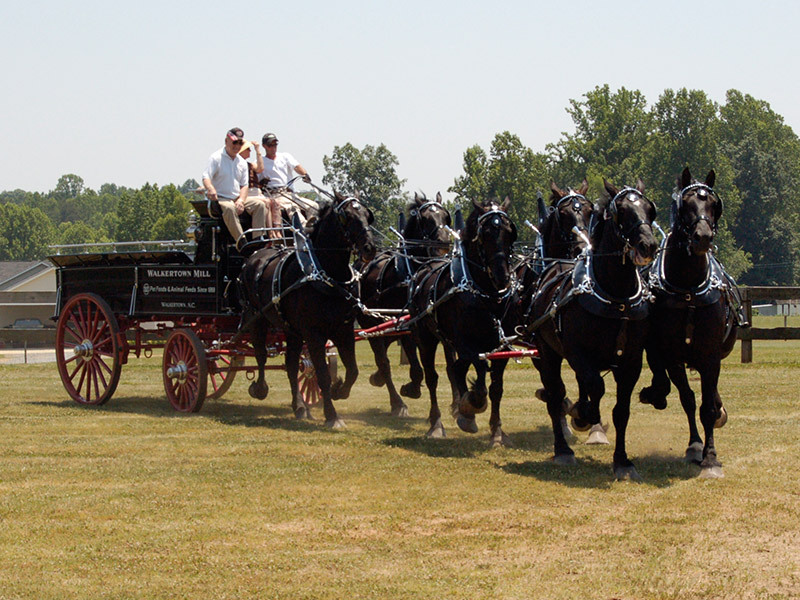 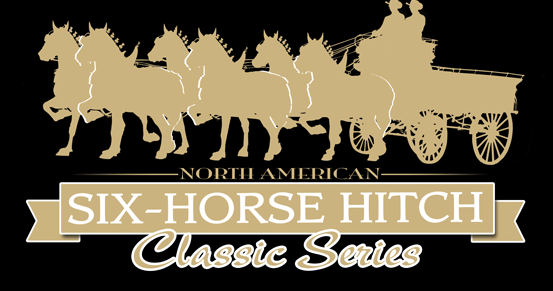 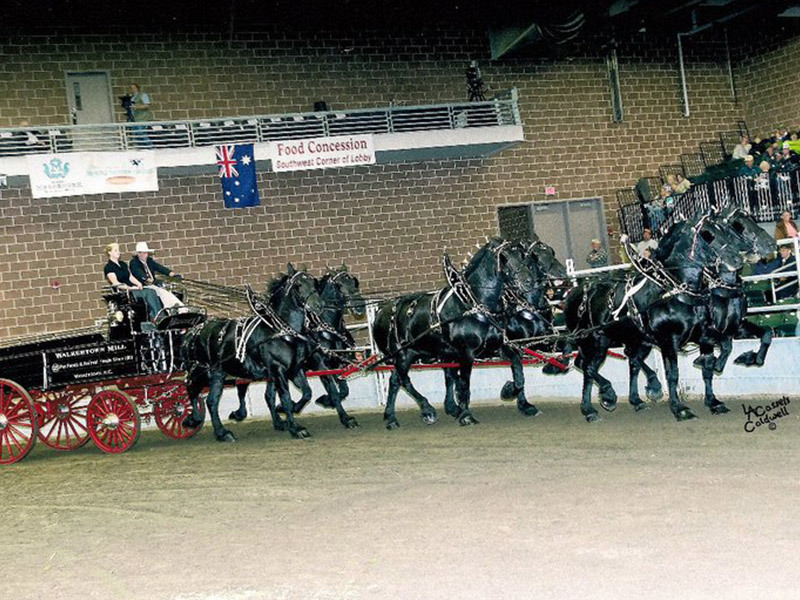 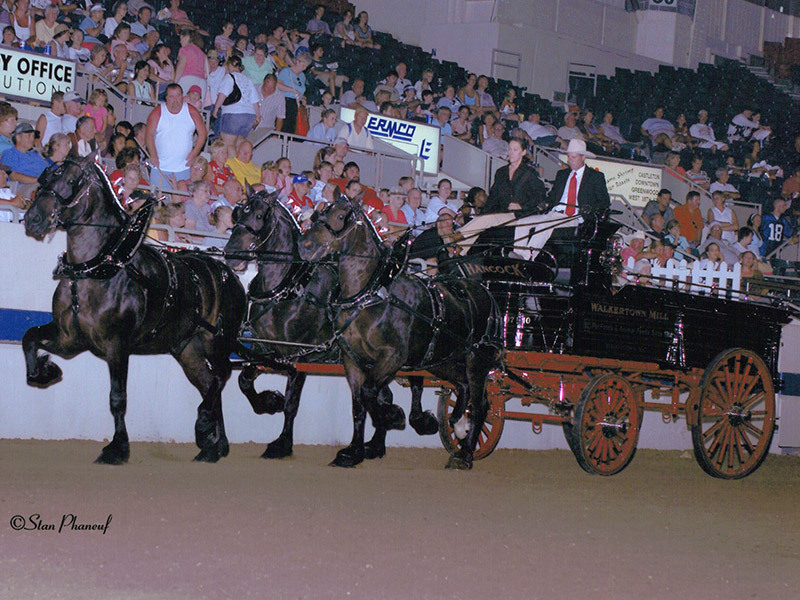 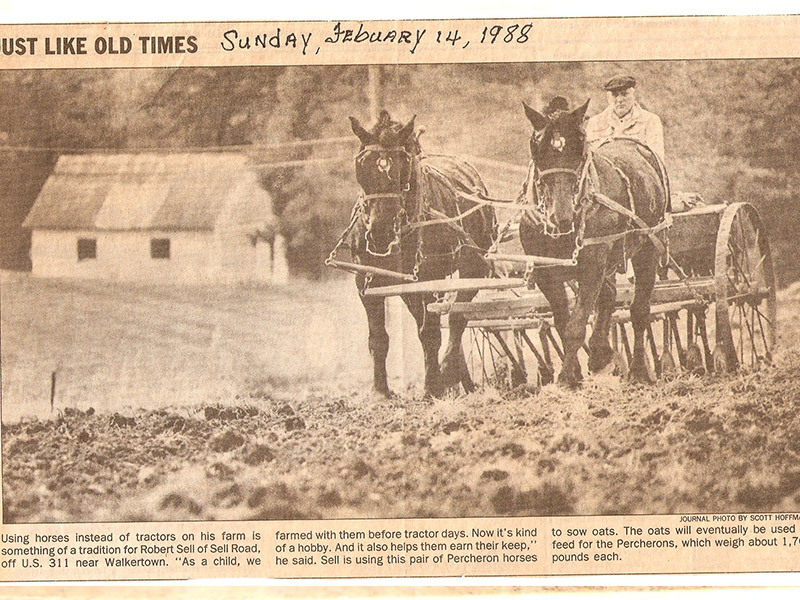 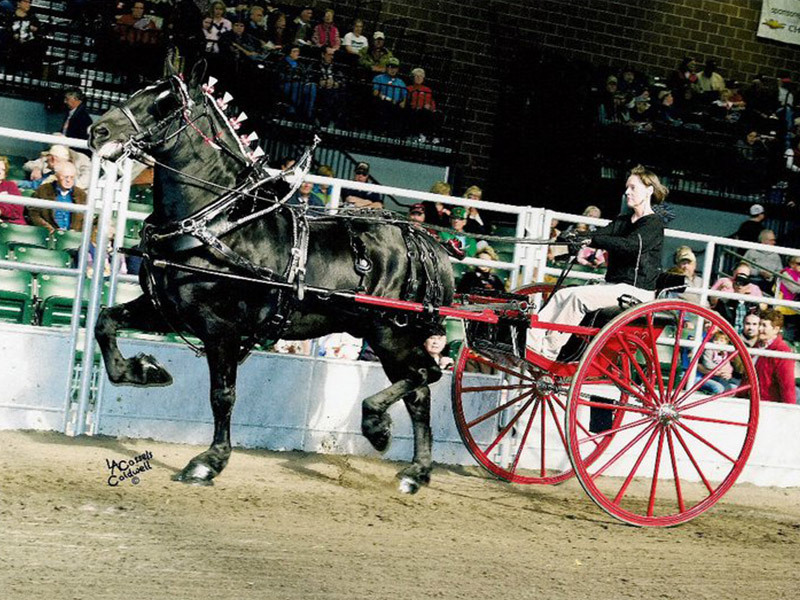 A breed preserved by the Amish and select breeders such as Rolling Hills, Percheron horses are now used for farming, recreational events, competition showings, breeding & more. 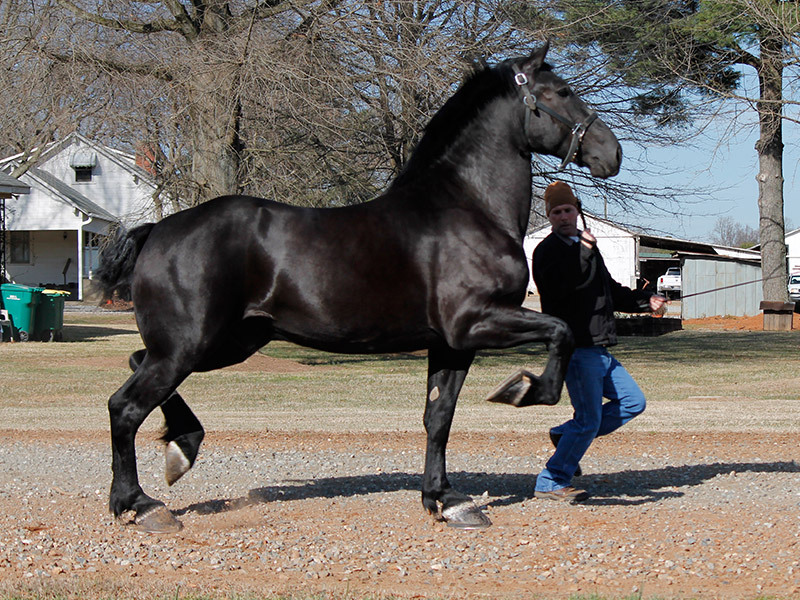 Each horse weighs approximately 2,000 lbs; standing over 6 feet tall. 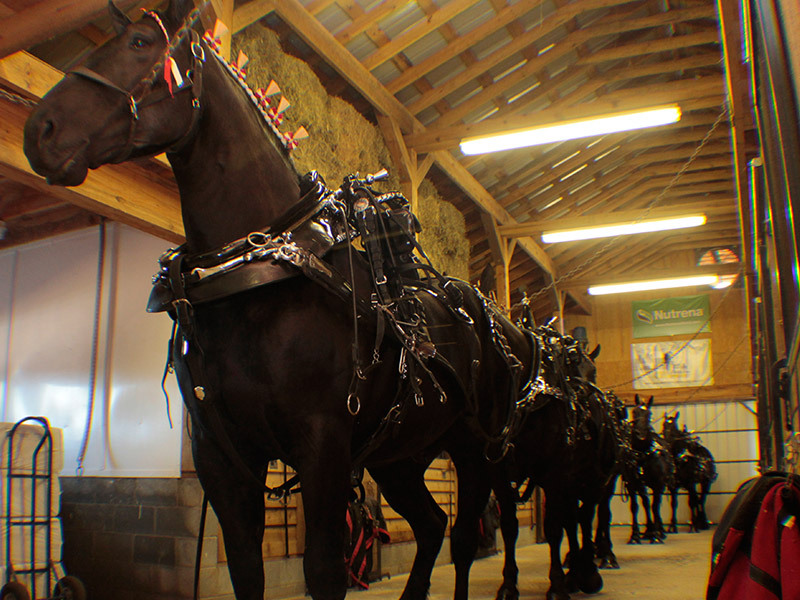 their diet is about 12-14 lbs of grain, 30 lbs of hay and drinks about 15-20 gallons of water a DAY. 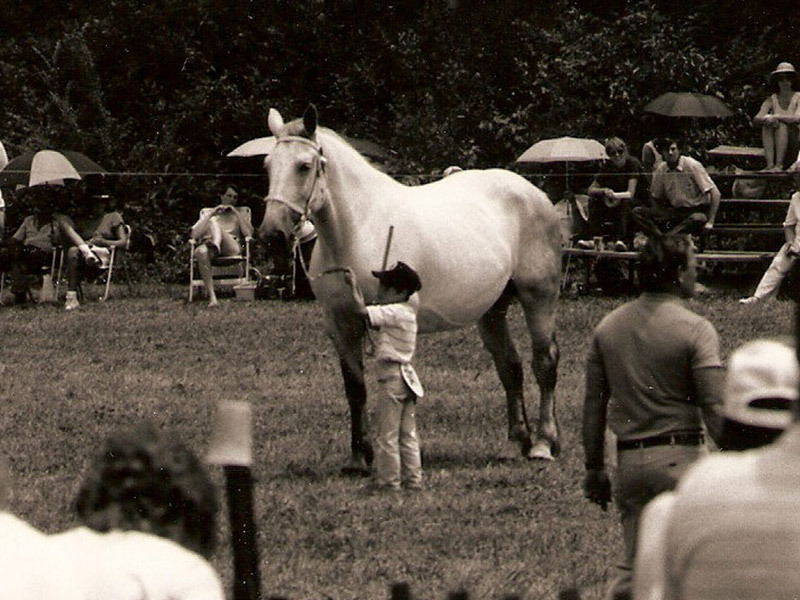 Most importantly it is about the wide-eyed American dream... 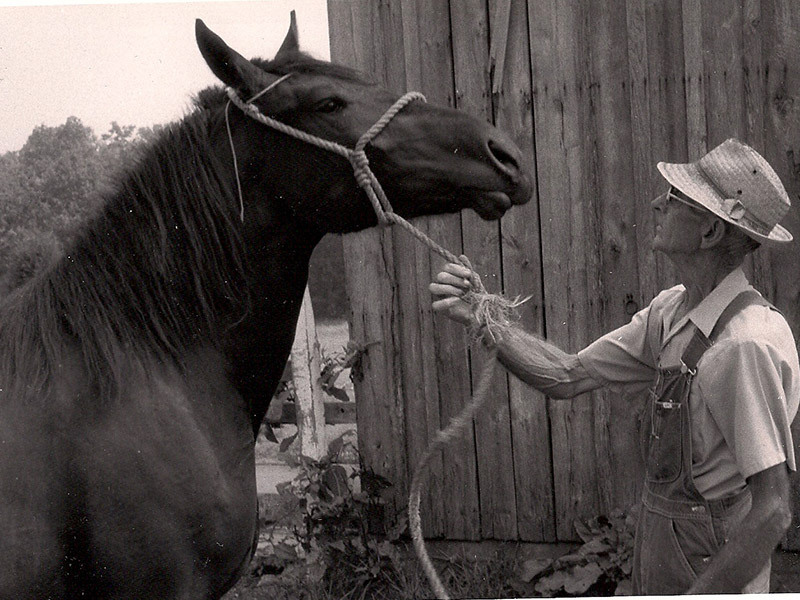 Letting go of society’s complexity and returning to the foundation of simple life and universal things that still bring happiness to all people, regardless of our differences. 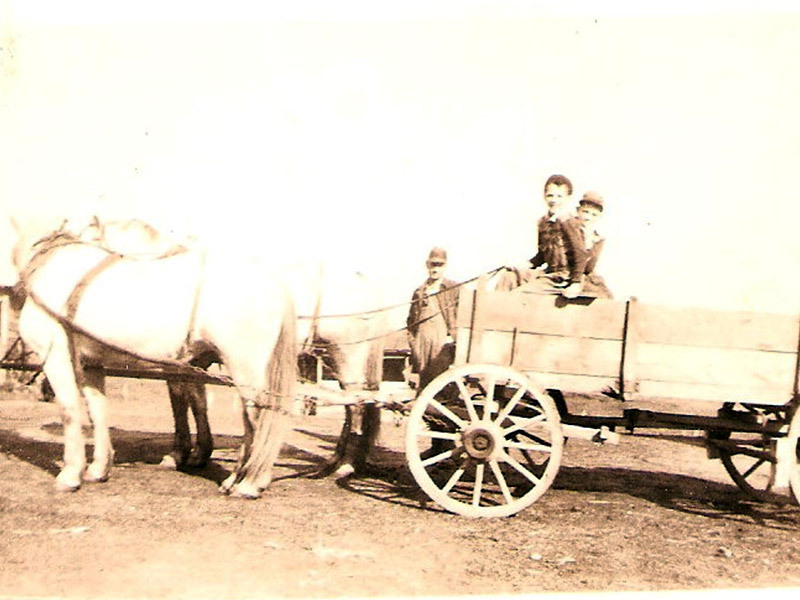 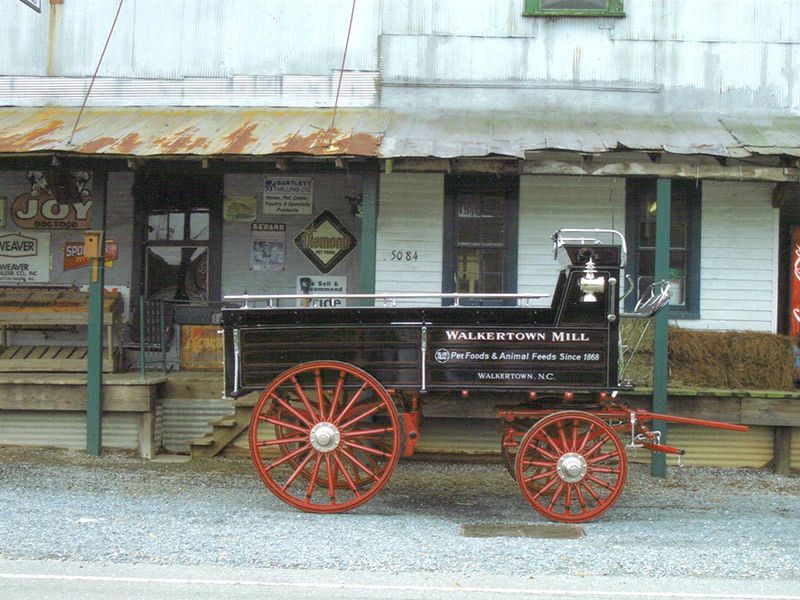 Wouldn't you like to hitch your brand to this wagon? 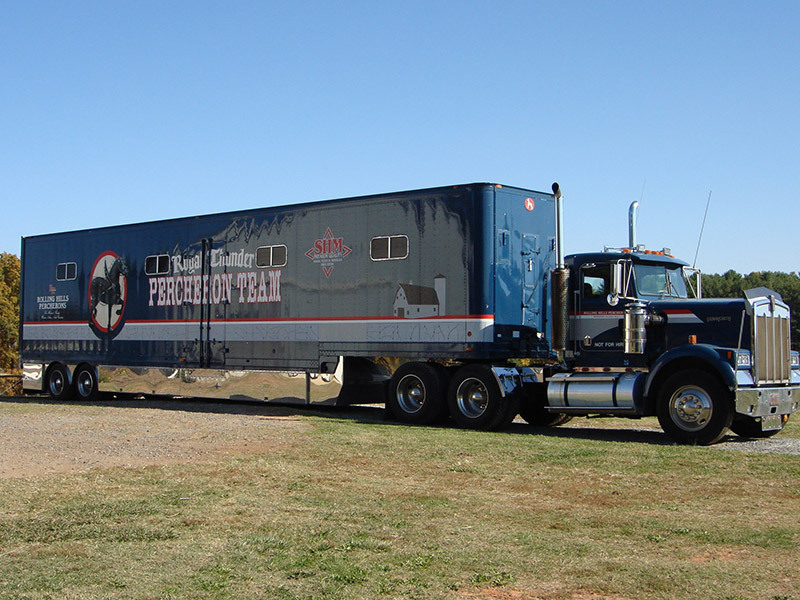 Contact us about a sponsorship and renaming the team with your company or product's name.